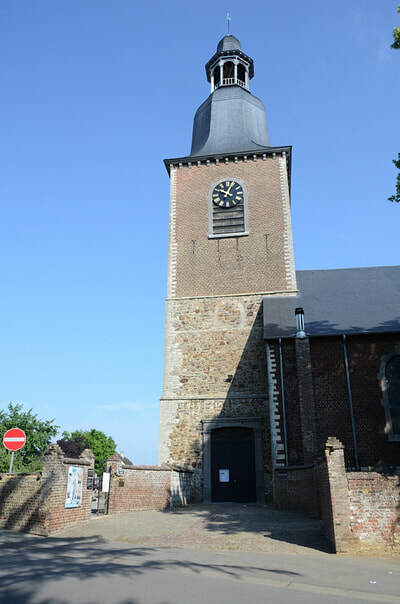 The village of Perwez is situated to the west of Ramillies and Wavre. 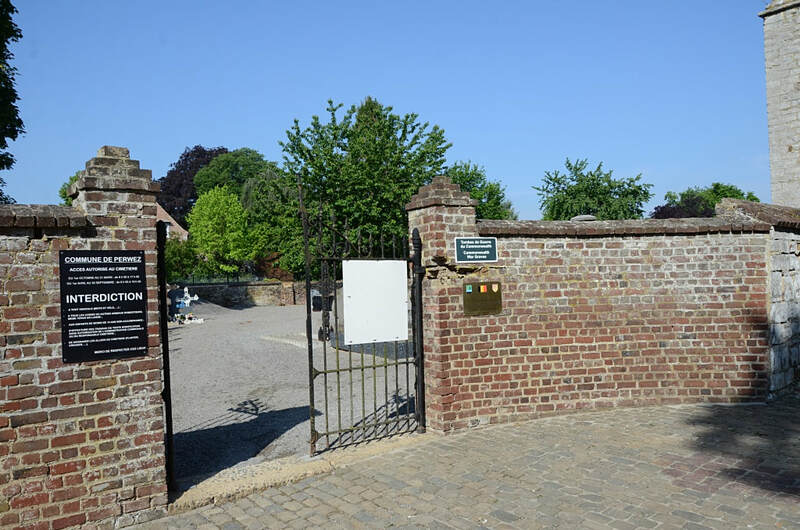 From the motorway E411 turn off at junction 11 Thorembais-St-Trond and turn onto the N29 direction Jodoigne. Follow this road to the junction with the N243 and turn right onto the N243 to Perwez. 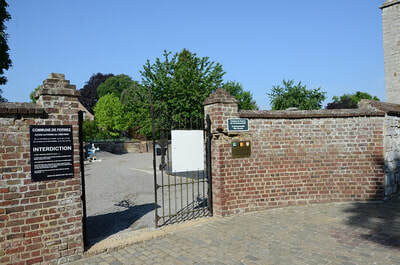 On entering the village cross the railway and turn first right onto Avenue Des Tourterelles. The cemetery is along on the left. 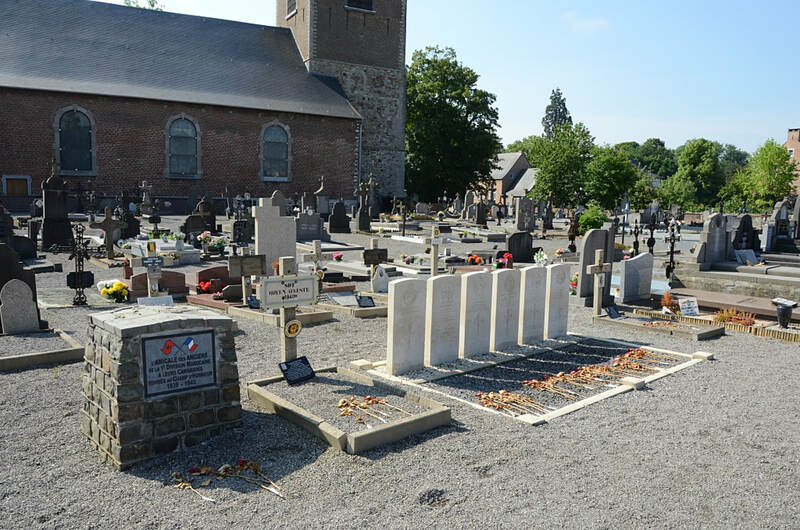 The graves are located directly behind the church in the old plot. 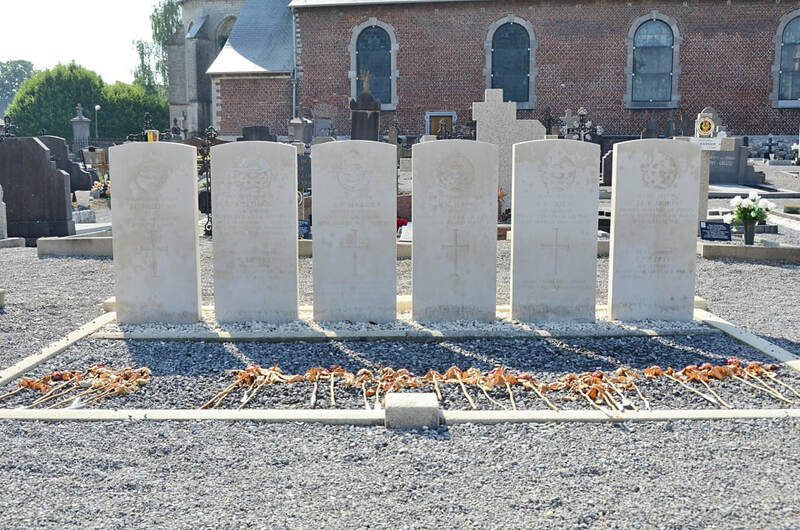 Perwez Churchyard contains the graves of eight Commonwealth airmen of the Second World War. 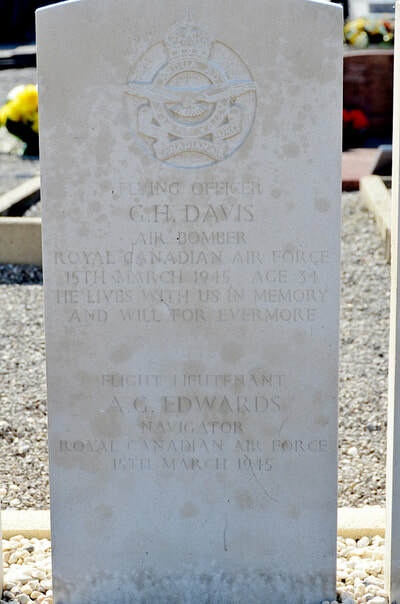 J/35097 Flying Officer George Henry Davis, Air Bomber in 431 Squadron, Royal Canadian Air Force, died 15th March 1945, aged 34. 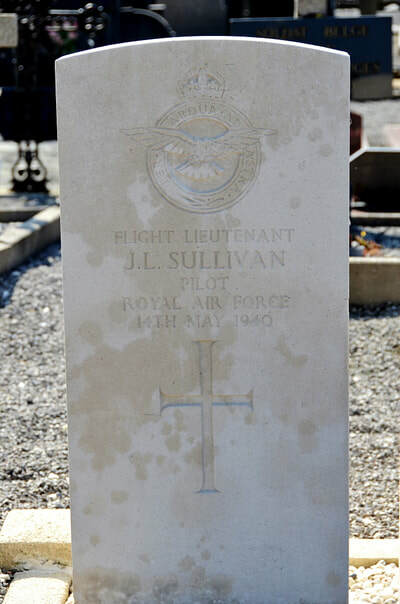 Son of George and Lily Davis, of Springhill, Nova Scotia, Canada j husband of Jean Davis, of Springhill. J/13417 Flight Lieutenant Albert Gordon Edwards, Navigator in 431 Squadron, Royal Canadian Air Force, died 15th March 1945. Son of Edward Thomas Edwards and Leveno Edwards; husband of Norma Rosetta Edwards, of Nanaimo, British Columbia, Canada. 187961 Pilot Officer Alfred Charles Harris, Flight Engineer in 431 Squadron, Royal Air Force Volunteer Reserve, died 15th March 1945, aged 35. 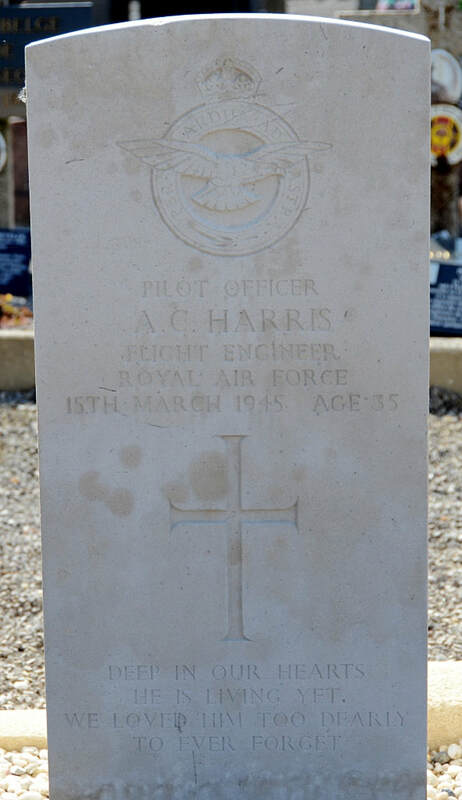 Son of Alfred and Edith Harris; husband of Caroline Amelia Harris, of Chichester, Sussex. J/85451 Flight Lieutenant Robert Roy Haw, Pilot in 431 Squadron, Royal Canadian Air Force, died 15th March 1945. 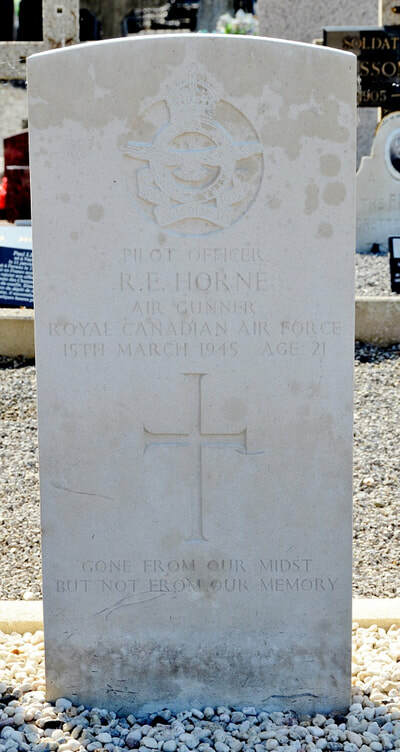 J/95283 Pilot Officer Robert Ernest Horne, Air Gunner in 431 Squadron, Royal Canadian Air Force, died 15th March 1945, aged 21. 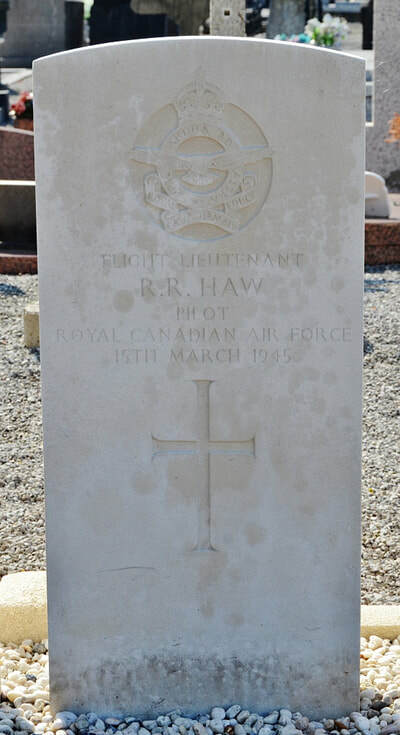 Son of Robert and Martha Horne, of Hamilton, Ontario, Canada; husband of Dorothy Horne, of Hamilton. J/37326 Flying Officer Joseph Lucien Viateur Morin, Wireless Operator/Air Gunner in 431 Squadron, Royal Canadian Air Force, died 15th March 1945. 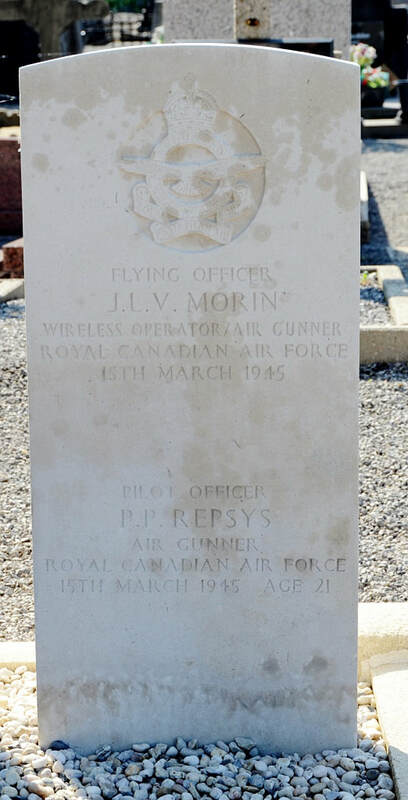 J/93258 Pilot Officer Peter Paul Repys, Air Gunner in 431 Squadron, Royal Canadian Air Force, died 15th March 1945, aged 21. Son of Stepos and Kaze Repsys, of Verdun, Province of Quebec, Canada. 37643 Flight Lieutenant John Lewis Sullivan, Pilot in 607 Squadron, Royal Air Force, died 14th May 1940.